Did you know that data preparation accounts for about 80% of the work of data scientists? Preparing and transforming large amounts of data from a raw tabular format to semantically enriched data can be time-consuming and difficult. Most data scientists also find this task to be one of the least enjoyable. Moreover, the process of integrating business data in EW-Shopp with events and weather data requires specific knowledge about the content of the knowledge graph and how to map data schemas to shared vocabularies that can enrich the data. 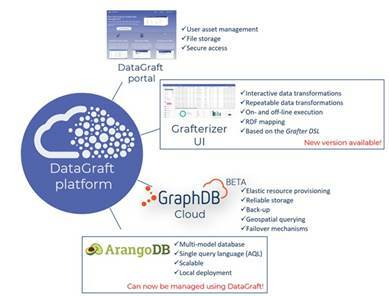 To ease this process of preparing and enriching data, three tools have been developed as part of EW-Shopp: Grafterizer (to clean and transform business data from tabular format to linked data); ASIA (to enrich tabular business data with events and weather data that semantically enhance the content of a knowledge graph) and ABSTAT (to understand the content of the knowledge graphs by providing statistical profiles and data quality insights). Want to learn more about how these tools can contribute to more effective work processes and free up time for a data scientist? Read the full article here.